When you’re at a young age, delivering a song that’s full of emotions and passion isn’t that easy. Apart from the vocal skills, you also need to be technical about your performance. You need to have good control over your voice so you can give justice to the piece you are singing. For 16-year old Mara Justine, however, singing a Whitney Houston classic wasn’t that hard. In fact, she delivered it so well that it left all the judges and audience clearly impressed. As she reached the high parts of the song, Mara didn’t have a hard time. Her delivery was flawless and you can definitely see in the judges’ faces how in awe they were. 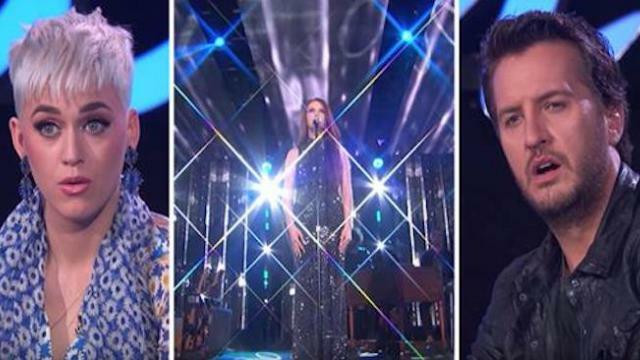 All of them gave a standing ovation to the young gifted artist after her performance and that sent her straight through the live shows of American Idol Season 16. Mara is a very versatile singer and her performance totally proves that. Well, that isn’t surprising, given that Mara has a good history in joining singing competitions. Back in 2014, Mara auditioned for America’s Got Talent with “And I Am Telling You I’m Not Going”. It earned her 4 strong yeses from Howard Stern, Mel B, Heidi Klum, and Mel B, sending her straight to Judgment Week. In that part of the competition, she sang another Whitney Houston classic, “I Have Nothing” and the judges sent her straight to the Quarterfinals of the competition. In the end, however, Mara wasn’t able to get enough votes to make it to the Final 6. In the 16th Season of American Idol, Mara was eliminated in the Top 14 after singing “This Is Me”, a number from The Greatest Showman. It proved to be a song too big for the young finalist in the competition to take on. Despite not winning, her fans were simply proud of her. She has taken the results of the competition on a light note, showing how positive her character is and how she’s determined to continue following her dreams no matter what happens.